Course Includes: Attic Insulation/Ventilation, Wall Insulation, Basement/Crawlspace Insulation/Ventilation, Infrared Inspection Techniques, and More! Rising energy costs have many homeowners concerned about the cost of heating or cooling their homes. People are becoming more aware of energy efficient appliances, green technologies, and alternative energies. One thing many homeowners can do to reduce heating or cooling costs is to properly insulate their home. Technologies like infrared cameras help trained inspectors and energy auditors locate areas of insufficient insulation. This online course will teach you proper insulation techniques for attics, basements, crawlspaces, walls, cathedral ceilings, knee walls, and more. This course does not require you to own or rent an infrared camera. Even if you don't plan on purchasing an infrared camera, the information in this course will allow you to recommend proper insulation and ventilation techniques as part of a home inspection, energy audit, or thermal inspection. 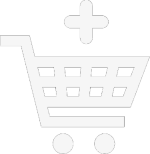 If you are thinking about purchasing an infrared camera or renting/leasing one, check our affiliates page for information about discounts you will receieve with your certificate of course completion. Professional Home Inspection Institute, a leader in online interactive training & certification, offers an infrared training course for insulation inspection and remediation . 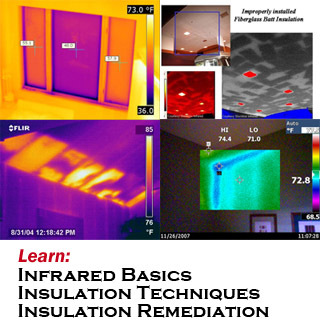 This 24 hour course teaches you to use an infrared camera to perform thermal inspections of insulation and also teaches you how to use an infrared camera when remediating insulation defects, missing insulation, or improper ventilation found as part of an energy audit or a home inspection. The course includes agreement forms for thermal insulation inspections and a rider to your existing home inspection agreement form. Along with infrared pre-inspection agreement forms, you will receive a customizable template report form that can be used to make infrared insulation inspection reports. As an inspector, you know how valuable these forms can be and they are included with the course at no extra charge! The Thermal Insulation Inspection & Remediation Course is currently available for $495 ($100 off the regular price). Bank Foreclosure Inspections Infrared inspections are perfect for bank foreclosure inspections. An infrared camera allows an inspector to take thermographic photos which will quickly reveal insulation problems, moisture damage, or serious electrical problems. Infrared inspections for bank foreclosures do not take as long as an actual home inspection and therefore are ideal for these types of inspections as well as giving inspectors an edge when doing a typical home inspection. As heating costs continue to rise and energy efficiency becomes a greater concern to the world, proper insulation and ventilation techniques are more important than ever. Homebuyers are becoming more concious of a home's potential energy costs before purchasing a home and existing homeowners are beginning to look for ways to reduce their existing heating or cooling bills. Proper insulation and ventilation techniques are some of the most efficient ways to lower heating and cooling costs. Knowing how to identify deficiencies and weaknesses in insulation gives you a marketable skill in the inspection industry and allows you to properly remediate insulation or ventilation problems. Professional Home Inspection Institute offers online interactive courses for home inspectors, mold inspectors, pest / WDO inspections, radon measurement, and more! They also offer Inspection Report Creator software which creates narrative style inspection reports including digital photos, pre-written narratives, and even infrared images!